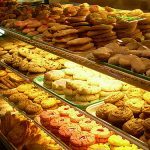 Merienda is the Filipino way of describing a snack break or the term referred to when it is time for a snack treat. The most common treat to eat are “kakanin” or the Filipino local food as these are very tasty, healthy and most of all affordable. Included in this category is the bibingka or the native Filipino cake. This is a soft and moist cake made from 100% rice flour known as ‘galapong’. Originally, this Pinoy sweet treat is only made available during Christmas season as this is usually sold in stalls outside churches. 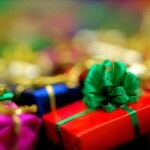 This is the time during the holidays when Catholics practice the Simbang Gabi or dawn masses awaiting Christmas day. Usually bibingka would serve as a local treat to church goers after this early morning mass for about nine (9) days. Nowadays, because of the popularity of this tasty cake, bibingka is now made available the whole year for those who would want to indulge on it. This is what was in the mind of the founders of Bibingkinitan - a local food cart chain who thought of an easy, creative and accessible way to sell bibingka. The ingenuous person behind this sweet concept is a man who gave up career opportunities in the corporate world and thought of becoming a self-made entrepreneur. His name is Richard Sanz, an engineer by profession who took a big risk and started a beverage kiosk in 2004 at a mall in Metro Manila. He started Tea Square and sold a variety of teas and breads for busy individuals who would like to take a quick snack. Tea Square actually exists until today. But because of his business mind, he thought of expanding the business and thought of a unique idea to sell the family’s favorite snack treat which is bibingka. After serious thought about this business endeavor, Bibingkinitan was born in 2006 and was exclusively distributed by Food Asia Corporation. Bibingkinitan offers mini-bibingkas at P20.00 each and can be in a box of 6. Its best pair is the native barako (Philippine Liberica) coffee which is also offered through its combo pair meal for just P50.00. Their bestseller menu, the Original Bibingkinitan is their local version of the bibingka topped with sliced salted egg and cheddar cheese. No doubt that this has become the top pick among bibingka lovers. After a while when people were used to the place, it was then referred to as the Bibingka and Coffee place. For fans of desserts and coffee out there, Bibingkinitan is the just the place to be. 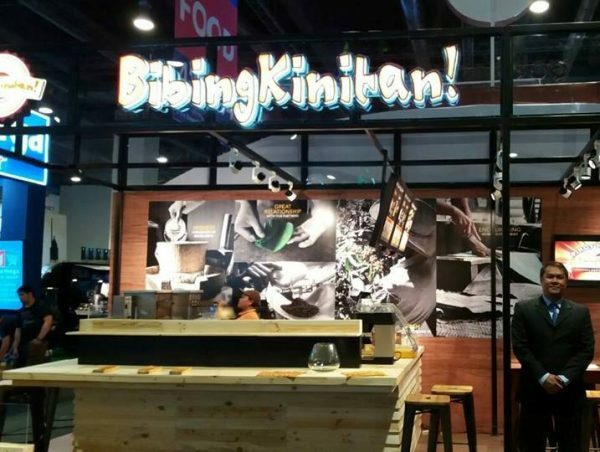 Currently, Bibingkinitan has over 200 locations all over the country and has plans for international expansion. 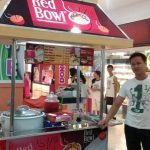 The best part is that, Bibingkinitan offers franchising opportunities for interested Filipinos who would want to make bibingka available at their local community and even abroad. Read on below for more details and information. 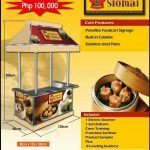 P900,000 to P1,200,000 for a 20 to 40-square meter in-line store. 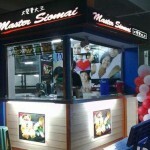 These franchise packages include the use of its logo and trademark, a copy of the operations manual, initial inventory of proprietary products, complete store setup with signage and equipment, site and evaluation assistance, on-site training, uniforms for the crew, store opening assistance, and on-going operations and marketing support. 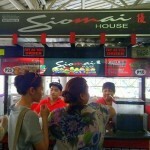 I am interested in opening a franchise here in Infanta, Quezon. Kindly advise possibility. Thank you. Wooowww sounds like interesting business to get but does the employees getting their right pay? Supposed to be P360 a day but what the employee get is just P290 no pay slip provide just take picture and send through viber. Killing employee for opening to closing not getting their over time pay if its excess 2 hours thank you? What happened to the contract that you let employees to signed? Can you do fix this problem?